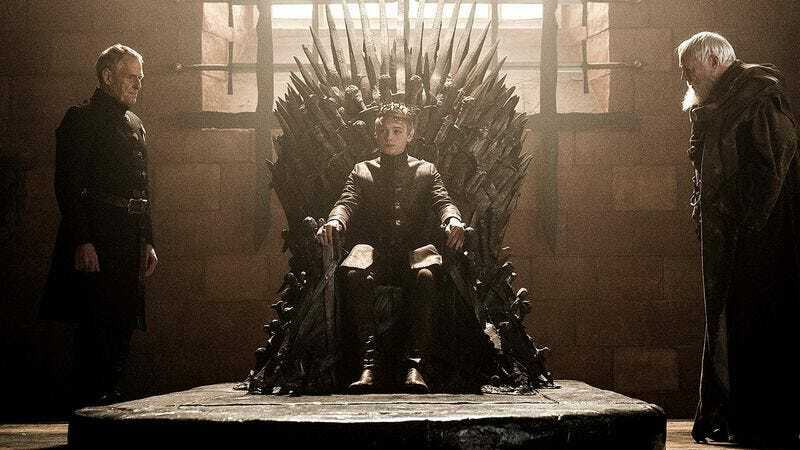 The world of Game Of Thrones is filled to the brim with evil, scheming psychopaths who think nothing of exacting the most unthinkably heinous punishments and persecutions upon enemies and strangers alike. That’s probably why the HBO series is so popular—it’s remarkably similar to the real world. Case in point: A few sinister maesters of technology have created an online service, Spoiled.io, that will, for just 99 cents, anonymously text show spoilers to anybody deserving (or undeserving) of a little distress. The surprise-ruining tidbits are dispersed throughout the world by automated Faceless Men immediately after the newest episode airs, and they will continue until the spoilers run out at the end of the season. This global force of evil comes compliments of Chicago residents Ross Hettel, Hunter Lane, and Joe Mainwaring, who say they drew inspiration from a Reddit post by a dude who’s been similarly tormented by a righteously vengeful ex-girlfriend. “We’re happily surprised it’s been such a big hit; we did not expect it to be that popular—especially internationally,” Hettel told DNAinfo. “We are for sure looking into expanding.” When the show ends on Sunday, he revealed, they’ll post a poll asking users what show should be implemented as the next instrument of torture. Even people who aren’t quite malevolent enough to sign small folk up for this can still still draw a certain degree of schadenfreude from others’ prey, as the app regularly tweets out victim responses.